Alas, after a long, looong (admittedly unintentional) hiatus from blogging, I’m excited to be back in the thick of things! And there was certainly no better way to get back into the student mindset than to attend UBC’s 2014 Student Leadership Conference. The day began with opening ceremonies and the enigmatic mantra Be Infinite. 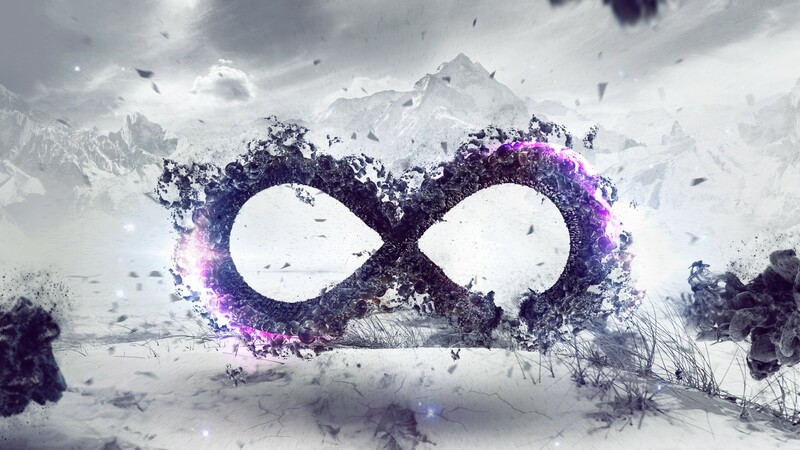 A mysterious, grandiose entity, that thing called infinity.. Upon reflection, I feel the core message of the conference was this: that we, as passionate and discerning students of the first-world, have at our disposal a virtual infinitude of resources at our disposal with which to improve both ourselves and the world around us. During the presentation “To Infinity and Beyond (On a Budget),” we learned about new and seemingly bizarre (at least at first) ways to fulfill our aspirations of wanderlust. Always wanted to go on that trip backpacking through Europe, but wary of the cost? Why not try some couchsurfing? Basically, the idea is that you setup a profile (in typical social-network fashion), with the purpose of both hosting travellers, and seeking hosts in places all over the world – all for free! Of course, there’s more than a little bit of trust involved… but if you can get past that, you’ll be sure to find nothing other than the world at your doorstep. Nonetheless, it’s odd that despite the conference being aphoristically entitled “Be Infinite”, it wasn’t the infinite that resonated most within me, but in Mark’s case, the finite. Could there have been a more humbling and humiliating experience for him than unwanted early fatherhood (and the early motherhood it entails)? The embarressment from friends, family, and complete strangers alike, and its consequent depression and guilt, would likely be enough to tear me apart from the inside out. So why did Mark so emphatically tell us the nitty-gritty details of his life? It all has to do with one word: vulnerability. In Mark’s view, the typical business networking event is rather shallow, being stuck on the lowest level of discourse: the WHAT. 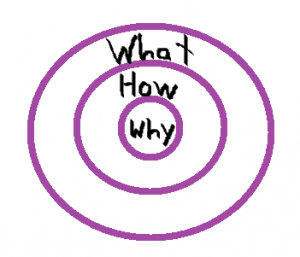 To succeed, he believes it essential that one communicates the WHY. You could be the CEO of Apple, yet still be dry and tedious, if you can’t communicate the rhyme and reason for your work. It’s into this equation that he impels us to throw away our fear of showing our vulnerabilities – after all, this makes our success in overcoming them all the more awe-inspiring. Indeed, Chris Hadfield – my idol at the moment (musician, scientist, and awesome human-being) – reveals the power of this method in his new book. Chris tells us that he’s scared of heights – to the extent that simply standing atop an apartment’s balcony makes him queasy. And yet, through such seemingly insignificant anecdotes, his readers can do little else but revel in the profound humanity in one who has otherwise achieved so much. Mark and Chris also exemplify another uncommon trait: a willingness to challenge the paradigm. Despite having entirely different goals, it turns out that both business and space travel stand to benefit enormously from criticism. In today’s business environment, Mark suggests that it’s not enough to simply pony up to a client’s needs; what’s required is the courage to point out what’s wrong with the client’s demands in the first place, then suggest improvements – a practice known as “The Challenger Sale”. But at the CSA (Canadian Space Agency), such an approach is much more urgent because there are lives on the line. Any practice that could potentially endanger the lives of an astronaut needs to be not just exposed, but brutally dissected and reformulated. And so a surprising paradox emerges: that only if one is utterly realistic in their preparation -whether it be for a sales pitch, or for their first space walk- may they find themselves afforded the luxury of idealism. An excellent lesson for our generation. All in all, what I most appreciated about the SLC was not that it showed me the infinite, but the finite: how people can take their entirely finite qualities and become something more. Whether that something is infinite, I can’t be entirely sure – for only the future may discern what’s in store. This entry was posted in Motivation, School life and tagged guest speakers, Infinity, motivation, SLC. Bookmark the permalink.